The goal of this paper is to present a succinct consolidation of the why, what and how of the ‘Model’ method as there is a lack of such documentation for researchers, practitioners and policy makers thus far. The ‘Model’ method is a tool for representing and visualising relationships when solving whole number arithmetic (WNA) word problems. The paper traces the history of the method in the Singapore school mathematics curriculum, exemplifies the three basic models of the method, explores its efficacy and assesses its role as a problem solving heuristic in the Singapore primary school mathematics curriculum. The findings show that the method, a tool for representing and visualising relationships between quantities when solving whole number arithmetic word problems, was introduced in 1983 as part of the primary school mathematics curriculum for schools in Singapore. The method comprises three basic models, namely the part-whole model, the comparison model and the change model. Past studies carried out both in Singapore and other parts of the world, related to the use of the method and its impact on student learning show that the method does help students, including those with mathematical difficulties, improve in their ability to solve whole number arithmetic word problems. 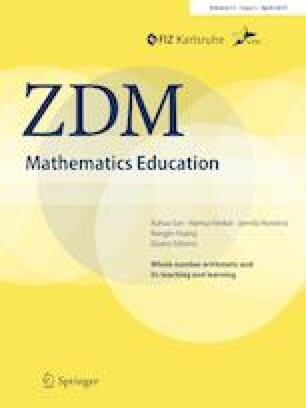 Perceptions of expert primary school mathematics teachers show that they engage students in solving whole number arithmetic word problems through Polya’s framework and also Newman’s strategies. They encourage students to represent on diagrams the givens and goals of a problem as this is a necessary step in visualising and recognising relationships. To do so they may use the method. Students may also use any other heuristic to solve the whole number arithmetic word problems. Mahoney, K. (2012). Effects of Singapore’s model method on elementary student problem-solving performance: Single-case research. Northeastern University (School of Education) Education Doctoral Theses. Paper 70. http://hdl.handle.net/2047/d20002962.